For 6 persons: cook the 500 grams. rice in the traditional way and add 60 grams after cooking. of butter, a tablespoon of cream, 100 gr. 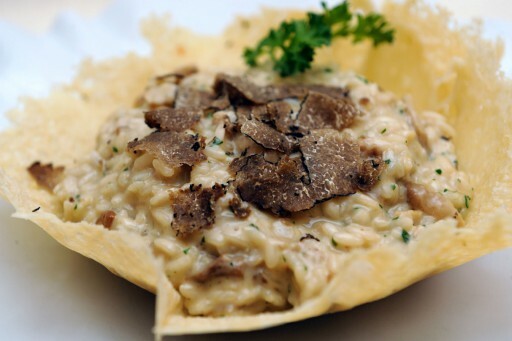 grated Parmesan cheese 25 gr and “Truffles” ground or “Summer Black Truffle Cream. Mix thoroughly and serve hot. You can garnish each plate with slices of carpaccio and truffle.